"I'm glad I found it (finally!)" "Convenient combination of CRM, Email software & Marketing Automation"
It's convenient being able to directly send eblasts from our CRM. Reporting is decent, and all email responses, clicks and website tracking is linked to the contacts. It's also easy to resend a campaign with a few tweaks to the text or follow up language. Active Campaign is not ideal for B2B use -- for example, when I select an Organization (Company) for a contact that has previously been entered, I have to retype all of the company address information even though it exists for other colleagues from the same company. I would think it's better suited for consumer marketing outreach. I also wish the template creator was more robust -- it's easier to create a template in the campaign editor than in the "Create Template" editor. Decent one-stop shop for CRM + Email software. Saves time with following up with clients. Automatic tracking of hard bounces helps us clean up our database without manually deleting obsolete email addresses. Able to link to our API/Extranet to capture new email addresses and newsletter sign ups. Able to tag with multiple tags for targeted emails. Thanks for your feedback. Please know that we are always working on our platform to suit the needs of our customers and appreciate feedback. "The most important digital marketing tool you ever need!" "Best email marketing platform. Period." Best thing AC has are the automations. Setting up even the most complex automations is a thing that can easily be done with AC and the options you have are endless. Great automations means great customer experience means more money in your pocket. Then another great and modern feature are the tags. Tagging contacts helps so much in automations. Another awesome feature which I have found to be really important for me are the message variables. You can use those for pieces of emails that you know you will change later. This saves you a huge amount of time because without it you would have to go a edit each single email manually. Absolutely nothing that I dislike. I know that continuous improvement is a pillar of AC and if there is a thing I would suggest to them to improve is to focus on the reports by adding some more options in there. Active Campaign is the best email marketing platform that exists really. I have tried many different ones, but nothing comes even close to AC in terms of features, deliverability and reliability. Huge time saving. Great email sequences in great automations by making my customers happier and bringing more money into my pockets. "Active Campaign is a Game-Changer for Your Small Business"
The ability to track customer engagement and segmenting with relation to emails sent, but even more dynamic is the ability to track customer engagement from your website. The automations features are incredible. You can set up every marketing email that is part of your funnel in one afternoon because of the duplication and templates features. The automations are intuitive and they even have templates for you to copy. Plus, the customer service is top-notch. ANY question they will work to help you solve (sometimes those are kinda personal, as opposed to technical, when you are starting to grow your business). I wish the photo uploads area had the option to sort differently. For example, when you add an image the default is to sort by name, but once you've had the account for a year then you've got lots of images to sort when you add one named at the end of the alphabet. Thankfully I've been in contact with AC support and they are already planning on improving this area, PLUS they have a workaround with folders. I simply name a folder by date "01 2019", "02 2019", etc and it makes it simple for me to find newly uploaded images. Every single "funnel" I have is built with Active Campaign. It works nicely with all the other platforms. More specifically, I use it with Leadpages, Kajabi, Zapier, Shopify and AWS. The ability to start marketing campaigns when people land on a webpage in incredible. Then, to really dig deep into what your customer wants by "tagging" their activities is fantastic. It makes Customer Service issues almost vanish because you can track a customer and see "their story" before they even ask you what they need. That is SO VALUABLE. Having the ability to build easy automations makes your marketing life a dream-come-true... because it means you are able to do things on autopilot! I can honestly say, AC has helped take my business to the next-level. "Marketing Automation with Productivity Tools Built Right In"
My browser opens to ActiveCampaign because I manage most of my marketing through the system. Email, website visitors, prospect pipelines and advertising campaigns are all conveniently located in one platform. I like that I can manage tasks, pipelines and AUTOMATIONS are the best part of this. The features that I would like to see, 1) affiliate management, 2) shopping cart, 3) more robust task manager. 4) It's own Calendar. 5) More robust forms editor. The Automations are amazing and very simple to setup and manage. They are not Confusing to Learn or implement. It does a phenomenal job of automating client-centric considerations when developing a new relationship with prospects and customers. AC allows you to combine your CRM with an email marketing platform, simplifying the number of platforms you have to learn. AC centralizing my marketing. I consider it a marketing platform with some productivity tools. I let go of a good productivity platform with a little marketing functionality to use AC and thrilled with it. The ability to work primarily in this app allows me to stay focused and minimize learning additional platforms and trying to integrate them. I LOVE THE AUTOMATIONS. "Couldn't be more satisfied with Active Campaign"
The combination of functionality and user friendliness provided by Active Campaign is far superior to the 9 or 10 ostensibly similar programs that we considered/evaluated/tested before we finally found and started using Active Campaign several years ago. The user interface is straight-forward and intuitive, and also very aesthetically pleasing. The analytical reports provided on the dashboard are extremely useful, and provide a clear view of exactly what works and what doesn't. As a result, our email campaigns have become much more effective and productive over time. Active Campaign is extremely economical to use. The cost is very, very modest when compared to the value it offers, and to the results it has produced. As a tool for contact management and lead generation, it has proven to be extremely efficient and productive. For these reasons, we couldn't be more satisfied with Active Campaign. Nothing significant. We haven't had any complaints or criticisms of Active Campaign. Because we're a small business, efficient time management is extremely important to us. Active Campaign is extremely useful in helping us to maximize the productive use of our time. "Activecampaign is one of the best automation and CRM options on the market"
Activecampaign is not only simple to use, but is also offers great onboarding training and live support via chat. Their system is straightfoward and therefore there is not such a HIGH learning curve. Besides, if you have questions you have live chat available most of the time. They respond pretty quickly and the team is extremely knowleadgeable. There hasn't been a time when they did not know how to help me. The automations work their magic wonderfully and are definitely the best part of Activecampaign. I would like Activecampaign to support portuguese in the template creation mode. I use it to send emails in portuguese and sometimes it would be helpful to hev the templates already translated instead of doing that by myself. The platform does have portuguese translation for the dashboard and all the functionalities. So it would be a nice addition. Try out multiple systems, but avoid the ones you have to pay to try them. Call the companies and ask for a live guided tour of their system. If they do not offer that, don't bother! Activecampaign has helped us reduce the time we take to send emails and keep in touch with our followers/audience. It has amazing automations that do all the sending for us after being set up. It also has forms which have helped me great better funnels than what I used to have and it is saving TONS of time. It is also already working as a way to see who in our audience should be re-targeted and it has been working wonders without so much time invested in the email sending. I also can see how it will help with the CRM for future processes, but as we are still implementing some changes in funnels and workflow we have not realized its full potential yet! "The BEST product and support on the market!!" User-friendly product, TOP NOTCH SUPPORT, everything I could ever need is present in the platform's functionality. It has a quick learning curve, and having this tool gives me total control over building my customer journey, managing my customer relationships and turning leads into clients. The navigation in the dashboard is very fluid as well, which is very important. Highly recommend Active Campaign! NOTHING!! Everything is so easy to navigate and there is a very short learning curve. Definitely recommend Active Campaign if you want a sophisticated platform that is capable of all the CRM functions you could ever need while being very easy to navigate and coming with the BEST support ever for those times where you just need someone to hold your hand and show you the way!! Marissa is AMAZING!! Total customer relationship management. I have been able to automate my email marketing to build strong relationships with my subscribers to increase business while taking all of the stress out of communications! "By Using ActiveCampaign, I actually MAKE more time... and yes, money too." The 30-minute training sessions, by far. Being walked through the tasks and features WHILE BUILDING THEM for my business increased my knowledge base, confidence, and willingness to use the tool radically. This is a robust tool, and even though I'm using maybe 20% of the product, I feel confident in my skills in using it. I purchased a more expensive, even bigger, more complicated CRM service and just did not end up using it, feeling good about it, or benefitting from it. At All. It's still a learning curve, and the nature of writing email series and automations just takes more time to do in the beginning... that would be true with any software tool and CRM. If you've been in business for a few years and are looking to make marketing, connection building, networking, and lessening anxiety and tiny slips of paper all over the place, give the trial a real shot. ALSO! If you're looking to organize, implement, and deploy campaigns for multiple income streams - give the trial a real shot, with real effort, and a little bit of time. I am coordinating my copywriting services, fiction book projects under a pen name, nonfiction book projects, and a content planning subscription service from this one account. As the one-and-only user for my business. You can do this too. As a small business owner, I'm actually making better relationship connections by being able to tag groups and lists of contacts with batched actions. This is saving me a tremendous amount of time. And, I'm able to use this time to make even tighter connections with my contacts. Case in point: I was able to send Valentines in the mail to the readers of my romance novels. I had the time, creativity, and desire to share something fun with them... as a way to get closer to them... and to also give myself a way to stand out. I actually have a better sense of where these readers are. A big surprise is that I have several horse-loving, romance readers who live in Australia! Not bad for this Seattle-based author! Thanks for taking the time for leaving feedback. We're so glad to hear that you're finding success with ActiveCampaign! Cheers to the all the goals you hit. "Good but has its limitations"
Automations are very easy to set up and implement. Designer is nice and easy to use - a lot more flexible than MailChimp's editor (assuming that the editor there on the free plan doesn't change for paid?). Deliverability appears to be good. Control of tagging/lists using different forms is useful. As the product seems to be fairly early on in the development stage, the team are good at gaining feedback on the product and taking on board suggestions. I find myself having to use workarounds more frequently than I would like. Some features seem a little basic (e.g. only have the ability to send a single test email at a time, most elements are in px rather than a responsive %, with the exception of the line break etc.). Reporting is limited with no heatmap-style figures available (e.g. if the same URL appears in 3 places within the email, nothing to distinguish between the three link locations, figures all just combined). This solution gives you something that has more flexibility than something like MailChimp in terms of the design and is great for setting up and using automations. However, there are some limitations so before committing, ensure that the features match up to your requirements. I would describe the product as being in advanced Beta stage so the issues I have experienced with it may be ironed out over time. I love how much you can do inside the automations(for example, as soon as someone fills out a form they get added to an email series which you can setup to identify what day of the week it is and what appointment times should be offered -have a canned email that delivers at the appropriate time linking so you can communicate with prospects and schedule them without ever typing a key). I love that the when clients fill out forms their answers auto populate within the CRM feature of Active Campaign. With the scoring feature you can be notified of every new opt-in or only the ones who are engaged with your content and great leads. Where texting falls short is that there is currently no way to be notified directly when someone replies to one of your automated texts without specifically looking through all your dashboard notification or the "activity" section on each client "deal"(contact).... so if you don't have the time to babysit it, people can be replying to your automated texts and you don't see it so you leave them hanging with no reply from you. You can not send individual texts. You can ONLY send texts through an automation series. This also means if someone replies to your text, you cannot text them back. You have to reach out to them from a different texting service or different method of communication all together(ex: email). You can send individual emails directly from AC. BUT, you can not modify the "sender" email address. So, if your business has multiple email addresses(we do for multiple locations) you cannot adjust the email address to be suitable to all clients. For this reason we do not utilize this otherwise great feature. This was a free service with AC but the experience was AWFUL. Having two locations(and two lists/email campaigns) they confused a ton of info with our lists and the order of the emails inside each series as well as some of the email signatures being for the incorrect location. We may have spent as much time fixing the errors than it would have taken to migrate the info ourselves. Infusionsoft and Ontraport have far more features and intuitiveness but have a much bigger learning curve. But Active Campaign is a great solution and much easier to get set up and using right away. Additionally Active Campaign costs a fraction of the other two leading competitors. Immediate contact with new leads. Customized email series based on criteria like (what day/time did person contact us, what other tags do they have, etc). Thank you for your note about our platform. We're glad to hear that you're finding success with our automation features. Please know that we are always iterating our platform and working diligently to review some of the shortcomings that you mentioned. "One stop shop for marketing and CRM"
Mt favorite thing about ActiveCampaign is that all contact actions are stored on one place. If I want to see any type of information about a contact, such as if they received a mass email that was sent, if they opened it and if they clicked any links, all I have to do is visit their contact profile. Everything is tracked and timestamped so I can know exactly what happened and when. It is so easy to bulk edit contacts to lists and campaigns and tags. Finding info and tracking contact about a specific contact has never been easy. ACtiveCampaign has a few bugs and glitches that occasionally rear their heads. One is that when I want to copy an automation, I am forced to wait several minutes before I can edit that automation because I receive a mission abort message. ActiveCampaign is perfect for the small business that is at the point of critical mass, where they can't keep up with their clients and potential clients using traditional methods and they need a system with the brainpower and versatility to meet you and your business where you are at. ActiveCampaign is solving our business problem of keeping track of contact with our leads. We know what they have been sent and what they haven't been sent. We know what they've opened and clicked. We know who in our organization has contacted them and can see the exchange. It is so easy to keep track of clients and their story with us with ActiveCampaign. "ActiveCampaign is our Goto Marketing Automation App"
Ease of use and wide array of features. Can integrate with a variety of platforms when used with Zapier. We use it with Formidable Pro forms and our chat client. Can be customized with fields and tags. Tags can be applied automatically and used to trigger automations. Awesome array of automation steps that allow for GEO detection to support GDPR compliance and time and location-based email sending to avoid weekends and specific days. There's isn't much not to like. Cost can be a little dear for start-ups that are stretched for revenue. It would be nice if ActiveCampaign offered a time-based free plan for startups instead of basing the fees on the number of contacts, maybe a 1-3 year program similar to Microsoft Bizspark. Company can be a little aggressive when promoting upgrades, but not as too bad as many. Definitely consider ActiveCampaign as your tool for marketing automation funnels, especially if you're a startup. While it is easy to set up your first automations, it may go quicker for you to hire a consultant. (Like us). Don't be afraid to call us for details. Marketing automation funnels after users sign-up for free products/services or have been sent a proposal. Mailing list management. Newsletters and broadcast communications. GDPR email compliance automation. Notifications to the mother ship when specific automation steps have been executed. For our clients interested in marketing automation, ActiveCampaign is our first recommendation based on our client's budget. It also allows us to sell our services for the setup and management of our client's campaigns. Thank you for your review of our platform, we really appreciate it. We're glad to hear that you're finding ActiveCampaign to use and that you've found it beneficial to your business needs. "ActiveCampaign is a great system for newbies"
I'm relatively new to using a CRM to launch email broadcasts/campaigns, and had been using Infusionsoft until a few weeks ago when I started using ActiveCampaign. I love how easy it is to create and drag/drop visual elements and buttons. You can send out professional-looking emails easily without any web design / graphic design skill. I love the templates they provide and that you can save email drafts if you're not ready to send yet. When you're making an email, there's a "revision history" button but I wish there was a simple undo button in addition. Also, I understand this is pretty heavy-weight software in a sense, but it's painfully slow sometimes in my browser (Chrome). Click a button and then wait 5 seconds. Well, I'm just a ghostwriter and "social media services provider" / digital marketer who just recently started using Active Campaign for our clients, after being directed to. So far the only standout benefits over Infusionsoft is that I feel it's easier to make something visually stunning and professional looking in Active Campaign. Infusionsoft's UI may be a little more intuitive and quick to navigate. 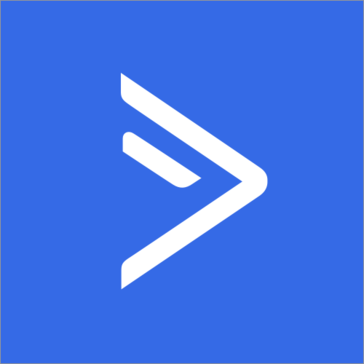 "ActiveCampaign is a Leader in Email Automation (For Good Reason)"
ActiveCampaign is intuitive, easy to use and I appreciate how their user experience is simple and straightforward. A lot of thought has gone into their software and it shows. I wish they had more accessible price points similar to Mailchimp. Countless friends are dipping their toes into entrepreneurship and starting online blogs, in an effort to bootstrap and keep things lean they are avoiding subscriptions at all costs. Try it out, it's worth a try. The workflow for editing your email sequences is easy to follow and you can easily view user activity by their usernames. If you're looking for something a little more involved, Ontraport is highly reviewed although I find the interface a little less intuitive. ActiveCampaign allows me to structure intelligent marketing campaigns with ease within their interface. Segmentation provides a clean method to sort between buyers, leads, and cold users which all need to be treated differently depending on where they are at in their customer journey. It's difficult to find great email automation providers as transferring platforms brings with it a learning curve. This said, some providers offer more than others, beyond automation there is also the question of deliverability. Whenever I have needed to create a campaign for a client, I've always been met with an easy to use interface with intuitive workflows. I also enjoy the fact that they offer an affiliate program which provides an extra source of income as a consultant providing marketing services. "Really made our marketing process simple"
We enjoyed how ActiveCampaign allowed us to have deep tracking and campaign creation for each of our separate projects and assignments so robustly. It was so easy and made our creative campaigns original. Sometimes the setup of the website is a little hard or confusing to configure on the user side. I felt that there could be more of a guide to help with the on-boarding process. Definitely see if this is the right choice for you to need to stay on top of certain marketing campaigns and are in need of finding the right message and activations for your audience to be the most effective for your brand and business. Maintaining and developing relationships with our audience was a challenge. AC was a definite benefit for us as we were able to plan out each campaign more efficiently and see how they were performing. Le système d'automation est vraiment agréable à utiliser ! Le système de branche et de conditions permet de faire des séquences de mails intelligentes, très facilement et sans rafistolage ! La délivrabilité est excellente ! Il n'y a rien besoin de faire, tout ça est optimisé automatiquement ! Il y a des outils pour nettoyer sa base de contact pour garder une liste email saine ! Le système de tags est vraiment utile pour segmenter les contacts. Cela évite d'avoir plein de listes et de se perdre dans la segmentation. Les tutos sont extrêmement bien fait. Il y a des guides complets qui rendent l'apprentissage très agréable. Certes, ce n'est pas en français, mais c'est largement compréhensible avec un niveau d'anglais correct. Rien ! A part que le support est uniquement en anglais. Mais il est quand même possible de choisir la langue française directement dans le logiciel. Il n'y a pas de doutes à avoir ! A mon sens, ActiveCampaign est le meilleur service de mailing ! Avec ActiveCampaign, tout devient simple ET performant. J'arrive à des taux d'ouverture de plus de 60%, c'est tout juste énorme ! En plus avec le systèem de tag, j'envoie des messages seulement aux personnes intéressés, ce qui me permet de garder une base de prospect saine. ActiveCampaign is very intuitive to use. When I have used other automation software...it just was confusing. ActiveCampaign has made it understandable and even fun to use. I also love how they are always implementing and making the platform better. Bringing new requested features to the platform. I feel like it's alive and thriving as a company which is comforting as a business owner. Even though their support is great, there are times that it would be so helpful just to get someone on the phone. That's probably my main dislike. I would highlight recommend it. I was considering using Infusionsoft and when I did a direct comparison, I could do everything I wanted to do with ActiveCampaign and for cheaper! I am using ActiveCampaign to run all of my email marketing and power my membership website. I love all the integrations they offer. It makes me feel like I'm not bottled in. "Fantastic budget email marketing tool"
It includes all the features you need to quickly start sending emails. The automations are decently advanced and you're able to create most of the logic needed for a successful foundation. The price is affordable. The dedicated IPs are a bit too expensive - you need to be spending at least $1.500 at the time of writing this review, to be able to have your own IP and build your own reputation. Their shared IPs are OK, but they do show up on some blacklists. The analytic side of things is not too advanced so I still keep to Google Analytics for most of my data. Their deliverability department also doesn't provide any useful help when an issue pops up and we're left to ourselves to solve it. Price and feature wise this is a fantastic budget tool for Email Marketing. AC's email automations help us convert new subscribers after they sign up. We use it extensively to send email blasts. The performance is decent and most everything you need to customize is possible. Even when sending campaigns to multiple different markets and in different languages. "Great help for Small Businesses!" It's very easy and straightforward to use. It integrates easily with WordPress (through the native plugin) and other systems (through Zapier). The pricing is very fair, so that people starting out don't have to spend a lot of money for a small list. The only thing I can think of is that when I need to change something in the layout of my emails, I have to individually change every email within the different automations I have. And it's not a huge dislike, but it's the only thing I can think of about ActiveCampaign that bugged me a bit recently. It integrate with a lot of different softwares. If you are on WordPress, the ActiveCampaign plugin makes it very, very east to integrate. The interface is very straightforward, and it's easy to create anything from Campaigns to Automations. I have multiple lists (newsletter, clients, beta testing, etc), which is great to be able to easily manage from one same place. I use a lot of automations for different things (opt-ins, client leads, newsletter subscriptions, even an email course). I also recently replaced a premium forms software to using AC Forms instead, don't even have to create a Zapier integration for that. We're so glad to hear that you're finding ActiveCampaign easy and straightforward. We aim to help small businesses and your feedback is greatly appreciated. "All-Around Good CRM & Marketing Automation Service for Start-Ups"
I like that it has all of the necessary features that we were looking for without breaking the bank --- CRM, marketing automation, lead scoring, list building, e-mail creation. I also liked that it was able to synch with Zapier, making it easy for us to synch with other online services we use, such as KickoffLabs. With our landing pages on KickoffLabs, we run sweepstakes, and are easily able to automatically send over sweepstakes entrants into ActiveCampaign through Zapier, enter those folks in a marketing automation flow, and then automatically start sending them e-mails. The reporting is also pretty good. I would say that for a marketing automation newbie, It might not be the most intuitive to set up, especially the list builder. But once you get the hang of it, it works fine. And, the HTML e-mail builder was a bit glitchy at times. As a start-up, we wanted a combination CRM and marketing automation service that was cost-effective to use, had a wide range of features, and synched with other online services. As a result of using ActiveCampaign, we were able to develop a holistic marketing program for a very reasonable price in a short period of time. "Fantastic Email Marketing Solution for Small Business Owners"
I love the potential for customization of my lists, automations, and tagging systems using ActiveCampaign. After the initial learning curve, the system does exactly what it says on the box and allows you to create complex automations and systems of lists and tags in order to customize your marketing to each niche you hit with your business. The only downside that I've come across in using it is the steep learning curve. Like many similar programs, the more features and customization available, the harder it can be for people without prior knowledge of email marketing and automation programs to break into. I would recommend ActiveCampaign to people who need a solid email marketing solution that has a lot of functionality for customization at a fair price. It's not the most beginner-friendly program that I came across, but I've never been disappointed with it and have no plans to move to a different system. I got ActiveCampaign because my previous mailing solution wasn't cutting it for the level of automations and customization I needed for my lists. I'm a fiction author of several genres and needed to be able to create lists and automations for individual books, genres, and other segments of my audience and have it work smoothly without my own micromanagement of the lists. ActiveCampaign has more than covered everything that I've needed it for! "ActiveCampaign is the best email marketing and automation platform that I have ever used!" I love how the automations are visual in nature, so you can actually see the logic to understand all of the possible outcomes. A lot of other platforms use more of a text-based approach and it is much hard to put automations together in the way that I would like to. I don't have dislikes per se. Their forms are a little weak right now, but I am confident that they will roll out improvements there once they get around to it. They are really good about continuously updated and improving all areas of their software. Do it! With the 14-day trial, you can't go wrong. It also integrates with a lot of other platforms and with Zapier the possibilities seem endless. I have automated many of my own funnels and now I am doing so for clients. My expertise in the software has allowed me to add another significant income stream to my business! I love the ease of use. I moved from another platform which fundamentally has the same core functionality as Active Campaign, but we find AC so much easier to navigate, I have a clear understanding of what's happening with my campaigns and contacts from the dashboard. I love the visibility I have of my different contact segments, and the ease of creating different templates. There's isn't anything that I'd say at this stage that I particularly dislike about Active Campaign. Segmenting my contacts and being able to create meaningful, automated campaigns has been a game changer. I've been able to add customised fields about contacts which filter through to various contact forms on my website. This means more information is being gathered about my contacts. I also use Tags to further segment my lists. I have a few automations that are created specifically for each segment which means that the communications going out are far more relevant to those particular people. I love that I can keep in really good touch with contacts and provide them with really relevant information, without it being a great deal of effort on my part. "Active Campaign makes email automation quick & easy"
I love how simple Active Campaign is to use. It's a great option for beginners and is quite affordable. It is simple to set up automations and campaigns as well as integrating them with other programs and software. There is a lot left to be desired with the form design options. I would love to be able to integrate the forms on my website but they just don't offer many customizable options to make the form cohesive with my website and design. I've also found that emails with any graphics often go into other folders. What I do love is that I can set up campaigns and automations and very rarely have to go in and fix issues (every program has tech issues from time to time). It's helpful for me as a busy business owner because I don't want to have to babysit the systems I'm using to make sure they are working properly. We're so glad to hear that you're finding ActiveCampaign easy to use and automation simple to set up. We hope you find success with us in the future. "The absolute best of the SaaS email automation platforms"
I've used many MANY email marketing tools over the year, ActiveCampaign is by far the best of the consumer-friendly SaaS variety of products that have solutions for individuals as well as enterprise organizations (such as MailChimp etc.). The visual nature of the automation campaigns makes creating complex automations a breeze for anyone, a welcome respite from the often confusing and clunky nature of many tools on the market. Overall I give this product 10 stars for functionality and price. If I had one thing I really would like to see improved by AC it would be the email editor. It's serviceable and works for my needs, but it could be updated and improved. Take FULL advantage of the trial period. Do everything you can to get your first subscribers and start seeing the tool actually work for you. Having some skin in the game and seeing some results during the trial period will help justify the cost and get you excited to go deeper. I use ActiveCampaign for delivering behavioral/segmented automation campaigns to subscribers of my blog. "Affordable, malleable, well featured and highly effective"
So many things.... Site tracking is invaluable and very effective. It's a super versatile automation hub for your small business, which is exactly what it aims to be. Some glitchy corners that you need to know about to avoid, and the odd new feature that doesn't behave the way it ought to - eg the ecommerce deep data integrations are not quite so well implemented as they should be, meaning the features are not as useable as they ought to be. Get some expert help setting up - an small investment on consultancy at this point will save you time and a lot of money, and help you leverage the features of the platform that will work best for your business. You can do it solo, and there are a lot of great resources to help you, bu there's a lot to learn to get things set up well, and mistakes at this stage can be costly and time consuming to unravel at a later stage. The ease of setup, particularly when it comes to creating automations, is my favorite aspect of AC. I have years of experience using other marketing platforms that have a ton of features, and an equally heavy cost (a force in the cloud, if you catch what I'm throwing), but the difficulty in making those features work was always a headache. Not the case in AC, I drag and drop what I want into a flowchart and set my parameters from a drop down, then, "Hello, email campaigns based on website interactions, nice to meet you." The one thing I miss from the big boy toys I used before is the ability to link different datasets so that I can create a profile around a customer beyond the basic contact information, without things getting untidy on the backend. I use AC to keep in contact with my distributors as well as end users. It has been beneficial to see metrics such as who has opened a training campaign (and being able to auto-remind them) to ensure our reps always have the most up-to-date info to use in the field. The benefit, besides an average 29% rate of interaction, is knowledgeable sales staff who proactively respond and become engaged with our products and brand. "This is by far my favorite email marketing platform!" I've used a lot of systems, and honestly, although nothing is perfect, this is the best in terms of email marketing, automations, AND ease of use. This is the main system I recommend to my clients now because it's affordable for smaller list sizes and it can grow with you in features you need, and it also integrates with some decent shopping cart/affiliate systems. There's nothing significant that I dislike, other than more direct integrations not being available at the lower price points. No matter what system you've been using, you'll love it. If you're switching, I would be extremely surprised if you weren't happy with the decision. If you're asking someone to switch you over but you've only signed up for the free trial, you're going to be limited. If you have more than 100 contacts, they won't be able to transfer all of your contacts until you upgrade. I used to use a much more expensive all-in-one shopping cart system with email marketing, but it didn't have any advanced marketing features, just the basic email marketing. I decided to switch to AC and another shopping cart/affiliate system (which integrate perfectly). I not only saved a ton of money, but now I have all of the marketing and automation features I could ever want! I also do VA/OBM work for clients, so I've used (and continue to use) most of the common email marketing systems and Infusionsoft. ActiveCampaign is by far my favorite, and I recommend it to all of my clients. It's 10 steps above the standard email marketing systems and so much easier to use than Infusionsoft. So far, I haven't had any clients regret their decision to switch to AC. "Hands Down The Worst Customer Service Model "
The product seems to work as well as the various integration. The compliance team is a disaster. It is email only customer service. You are not permitted to speak to a human.. Ever! We ran into a problem when we ran our first test campaign. These were all known contacts from our database. Compliance suspended our account on day 1 and we have spent months trying to communicate via email with their compliance team. They are great at billing us each month, but that's about it. We are now forced to cancel our service since there is no pathway forward. Simple email automation from our known database contacts built over years. There have been zero benefits to working with Active Campaign. You cannot get anyone on the phone after the sale is made. "Active Campaign has made email marketing so much easier!" I like the use of tags and behavioral marketing. I left MailChimp because it did not function well as a behavioral marketing platform. I love that I can operate almost all my marketing campaigns using one master list and tags. There are so many tools and I have only used a few so far. My plans are to capitialize on all the tools available to help better market and control my business. My VA is in love with Active Campaign, she said it has saved her so much time. There should be more global settings so you don't have to re-invent the wheel. For example, a global setting to set your social media buttons so you don't have to enter the links every time you want to include the button in an email. Give Active Campaign a try. It's easy to use and it will save you time. I am able to run multiple lead generation campaigns without having to create separate lists for each campaign. This saves time and helps me to better identify my audience's behavior patterns. "Great program and Amazing Customer Support"
I love the flow of Active Campaign and quick access to training videos if I need them. Every time I have had a question the customer support team has answered it in a timely manner. No complaints here. The best part of this program is that they are always improving and coming up with new ways to make it more functional. Start exploring what the program has to offer. Do not be fearful of explaining your rationale for the way your company wants to implement the program, Active Campaign's customer support are always willing to help you get what you desire from the program. I am now able to manage and monitor all of my contacts. I've developed e0mail marketing campaigns and I can see how effective they are based on Active Campaign's internal analytics. It's so much easier to use than MailChimp. Building automations is straightforward, it's easy to build segments and there's a lot of flexibility around adding tags and creating custom fields. Customer support is very good. I had a query over an automation and one of the team created a personalised video for me on how to solve it. It can be a bit tricky to navigate and it's not always obvious how to do things. I do struggle a bit with the automations at times and knowing if they are right or not. And seems to be missing a starting trigger which is 'send email' which can be frustrating. I highly recommend it - in fact I recommend it to everyone! A system that is intuitive is a big check for me. It's not entirely that - you do need help working out how some things work. I'm still working on the automation side of things and every now and again, I need help with forms and then knitting it all together. But overall, it has a load of functionality that is really powerful and once I've mastered more of it, will be brilliant. But it has made my newsletter creation and issue a joy (compared with previous software) and I love the automations. It's enabled me to create forms easily that I have embedded into my website, or can send out for lead magnets. Also, the automations mean that once something is set in motion, I can let the actions run e.g. I use them to help a client run a networking meeting so the initial email goes out, with a sign up form and then follow-up emails go out to those who have signed up or said they can't come and then reminder emails to those who haven't responded. And produces a list of those coming. All hands-free! "So much easier to use than Infusionsoft"
The flexibility to customize the application to accommodate your business needs without hiring an engineer and layering on costly add-ons. It is an affordable solution that easily scales with you as your business grows and your needs change. Moving and navigating the design interface in the is a bit clunky. Direct integration with calendly so I am able to add people to a list or tag them once they sign up for my calendar. It is easy to use and customize the automation features to create unique customer experiences for each campaign. Tracking and reporting are also easy to use. And you can add on functionality through direct integrations and Zapier without breaking the bank. I moved from Infusionsoft and can do just about everything for much less money and much less aggravation. Active Campaign is easy to use and you can add on the apps you need easily and affordably. With the money I am saving on the monthly fees, I bought a new car! Thank you for your review! We appreciate your feedback and hope you're enjoying that new car with your savings. "The best customer support team around!" We absolutely adore the individual time and attention that each team member dedicates to our company, with special recognition of Marissa Zeigler. We started using the platform to send out a few emails and through their consistent training and helpful advice, we have been able to set up several automated campaigns...taking our company to a new level! We have not experienced any negative interaction with the platform or it's team. Set up a plan and schedule a training for each area, and not try to create everything at once! We are currently utilizing ActiveCampaign for our website lead capture as well as email automation. The benefits certainly out weigh the cost, time and energy that it would take to create a seamless experience for our clients as well as our in-house staff. "Why Active Campaign is the best software for beginners"
The software is very well adapted to the real life needs of marketing. If you are a beginner iin marketing and automation as a general you can learn a about these complex consented by learning how to use active campaign. The support staff at active campaign is THE BEST. I get email responses within 24h with an exact solution. The webinars and guides, videos and podcasts which active campaign posts are fenomenal !! They have allowed me to move forwards with my business and to learn more about “what is marketing and how can marketing automation give a boost to a small business”. One of my favorite parts about Active Campaign are the podcast with Chris Davis. They are very entertaining to listen to and they are also very educational. I have not been able to find a better and more enjoyable way to learn about metering automation and marketing in general. The only con I can think of is that when you are building a rule for segmentation or any other reason the interface seems a little plain. There isn’t much color and overall the user experience could be more fun. That said this is not a reason to back out of choosing active campaign. Active campaign has allowed me to equip my business with a automation tool which helps standardize processes in the company, this allows me to close and converts leads faster. "Awesome value email marketing solution"
Ease of use. Value for money. Ongoing education. Development of new/requested features is a little slow. Active Campaign appears to be under the radar compared with some other EMS solutions. I can't believe they aren't the first choice for more people, given the feature set and price match makes them incredible value. It's very easy to create segmented lists and automations to solve common marketing issues. I use Active Campaign for my blog (https://productivephysician.com/) and have found it easy to learn and create specific email automations relevant to my purposes. There is an active user community and the ongoing education from Chris Davis and his time is quite amazing. I listen to their podcast every week as well as using their online resources. Importing automations and campaigns is really easy and allows users to share their high-performing work with others. "Active campaign has made a real difference to my business"
The automation functionality. Having left Mailchimp because of a lack of sophisticated and intuitive automation capability, I have got all that and more from active campaign. I also feel the pricing is very fair. Very little! Any tech issues or queries I have had have been quickly and efficiently sorted out by their customer service team. If you are outgrowing the entry level providers like mailchimp but not ready for the expensive and super-powerful options like infusionsoft, active campaign is the perfect solution. Plus, if you like to think things through visually, the way the automations are mapped out is very intuitive. If you're a little intimidated by the tech, the customer service team offer amazing support and are very happy to explain things so you can get the best out of the software. In terms of benefits, the powerful segmentation capacity in active campaign has allowed me to target customers very specifically, based on their interests and actions. This means I'm sending people information they actually want and need, and my open and click through rate has increased accordingly. "Active Campaign - so many surprises under the hood"
I wouldn't say I'm lazy, but Active Campaign makes life so easy for me. First there's the automations. You can make them as simple or as complicated as you want. Personally I tend towards the simple and then duplicate as necessary. Plus once you set up the automation you can just forget about it. My latest favourite surprise is to be able add contacts to Facebook custom audiences. Also being able to send out one email with conditional parts in it so that different contacts on the list receive different messages. As a great believer in segmenting lists Active Campaign has so many techniques that allow the messaging to become more and more personal. There's not a lot to dislike really. OK so it's not the easiest system to use but it pays great dividends for time invested in learning and experimenting. Don't hesitate but be prepared to take some time to learn the system. It's a Ferrari in a world of Fords. Great value for money and first class support. Email marketing becomes so much more effective. The days of sending a broadcast email to thousands on a list is definitely past. Segmenting lists via AC becomes easier and easier. For example if you have a marriage guidance site, the advice you give will probably differ between those married for 5 years, 15 years and over 30 years. Active Campaign tagging and segmenting does this automatically. Wow, thank you so much for the glowing review! We appreciate the feedback and we're so happy ActiveCampaign is making life easier for you! "My go-to, most-recommended email marketing platform"
ActiveCampaign offers powerful automation features more commonly found only in high-ticket systems. I love being able to automate email sequences to always provide my audience with exactly the info they need, to move them from one automation to another seamlessly, and (my very favorite) to continually remove disengaged subscribers without having to think about it. I would love to see more powerful reporting features. For example, I'm not able to see the number of spam complaints I receive. I feel that's an important number, and I need to know it before it reaches the point that ActiveCampaign is letting me know about it. ActiveCampaign is truly the BEST value for your email marketing dollar right now. It has all the marketing power of costly systems like Infusionsoft and Ontraport, without the high price point. ActiveCampaign lets me fully automate my marketing funnels. I don't have to worry that people get email that's not relevant to them, ever. I've been using ActiveCampaign for about 2 years now and I love building automations! The automation capabilities are off the charts. I also love the analytics it provides. I haven't tapped into all of the AC capabilities yet, and one that I wanted to learn more about was the CRM capabilities, so I scheduled a training with them and one of their reps walked through the whole thing with me, followed up with links to resources, etc. They are just top-notch in the customer service side of things. I can't recommend ActiveCampaign highly enough. There really is nothing I dislike. It integrates with WooCommerce, Facebook, Gmail, etc. It is a fabulous tool that makes my life easier. If you like to build user-flow use ActiveCampaign. It allows you to create the step-by-step process you want your prospects and customers to take and it provides reporting on all of it. Lead generation and email marketing are what I use ActiveCampaign for the most. It's so robust that I don't think I'll ever outgrow it. The benefits are that I have one solution to track all of my prospect and customer data. It's incredibly powerful. Thank you so much for your review! We're so happy to hear you're loving ActiveCampaign. We appreciate your feedback. "Excellent set of tools for a startup"
The ability to create visual funnels was the reason we chose it in the first place. It's easy to segment and tag people, and the email editor is absolutely easy to use. We can create better-looking emails with it than we could in MailChimp. The price for the full CRM is a bit high, and they rarely offer sales for getting it at a lower cost. I'm not fond of the way adding images into a text area works - it lacks options. If a majority of your users are unlikely to become active customers of your main product, be sure to use segments to try to sell other services. We use it to collect subscription information for both interested and active clients. It has worked well at doing that. "Easy to Use, Killer Automation Options & API Integrations with Excelent Support & Training"
It was easy to learn, intuitive and has excellent training resources and access to live help to fast track the building/creation of the automation(s) you want. At the 2nd service level and above, you get 30min a month of live 1-on-1 sessions which helped me fast track the implementation of valuable automations. You can start off with very simple automation for both external marketing. Then add more sophisticated functionality. I am also using ActiveCampaign to create workflows which systematize, monitor and run internal company processes and fulfillment. I love the fact AC has been rolling our new practical and valuable capabilities and enhancements very regularly which adds even more value and adds new automation possibilities. You can also easily import time saving and well thought out automations/workflows into your account which are available for free - at the push of a button. When I first started using AC before their large funding, their support availability was frustrating slow but for months now, getting support is quick and efficient. Other than that, I've seen things steadily improve over time both from a support side and technology/capability side. I have tried a number of different automation platforms. None are perfect or have everything you may want or need. That said, ActiveCampaign is flexible, robust, and is constantly improving features and adding functionality. AC can handle from simple email marketing to complex multi-step, API integration workflows with ease so you can make it do what you need. The more you use it, the more value you get for the already very fair price you pay. Before ActiveCampaign things "slipped through the cracks" with both client account management and prospects. Now we have dependable and predictable systems to prevent that from happening. Effectively managing our online calendar and associated tasks from meeting types is now silky smooth and efficient. We save time, money and are delivering a more professional user experience. Simple but critical tasks like sending renewal reminders which used to take an Admin hours a month is now fully automated so they can work on higher value tasks and projects. Thanks so much for leaving us such a wonderful review. We're so happy to hear everything you're loving and we'll be sure to pass it along to the team! "Powerful software at a very fair price"
I love the automations (now I understand how they work!) - this allows me to segment my audience and provide a more personalised service... and I know I've just scratched the surface. For someone with a tiny list, I appreciate that the starting fees are reasonable, which makes it manageable while I find my feet. There is so much more potential in this platform, it feels good to know I won't need to move my list later because AC has enough functionality to manage far more complex situations as the business grows. There's quite a steep learning curve and there also appear to be some small hiccups when offering the same opt in form for existing and new subscribers. This is quite an advanced product, so maybe not for beginners. That said, if you have long-term ambitions for your business, then this will give you everything you need as your business grows. I have a very small list right now, but I love that the functionality of ActiveCampaign gives me room to grow. What this platform allows me to do is segment my list from day 1, which will mean I can offer more personalised communication further down the line. "Great software at a good price"
Very nice marketing automation system full of options. User-friendly interface is very intuitive. Learning curve is relatively quick. E-mail writing system could be improved, I have seen sometimes that first e-mail from a campaign takes up to 15 minutes to arrive but I'm not sure if it is due to AC or to my mailserver. That would be nice to have an easy way to get an overview of your automation, sometimes when it is too big, it is difficult to look at it as a whole. Also it will be very nice if you can have a "test mode" for automation when any "wait" is adjusted to let's say 1 minute so I do not need to delete all the "waits" that I have set to 1 day or more in order to test the automation before launch it, another option will be to allow a bypass button for certain elements of the automation during the test mode. "I've used them all... AC is My favourite Marketing Automation Tool"
I love how user friendly the platform is. I love how easy they make it for companies of any size to get started. The ease of use means that companies are accessing more available features for their investment. The difficult to use (and often very expensive) alternative platforms usually results in people getting lost and not using it for all of its capabilities. I LOVE the API, the e-commerce deep integration and the event tracking. I love the support and the active community engagement for support. It's just an overall mind-blowingly valuable resource for the money. There are some things that I would like to see added over time that are offered by competitor products. I don't necessarily need them to add a landing page builder for example, but I could make great use of dynamic content blocks to add to web pages based on lists/tags. Looking forward to the full release of the CRM app which was badly needed. I also wish there were a way to edit live automations in an edit mode and then have a publish button. ActiveCampaign allows me to send targeted, timely and relevant messages to my audience based on their behaviour. It is an incredibly powerful tool, and ActiveCampaign makes it very easy to do that, and very easy to integrate with other services. Hi Gabriel - thank you for your review! We're happy to hear that you're loving the platform. 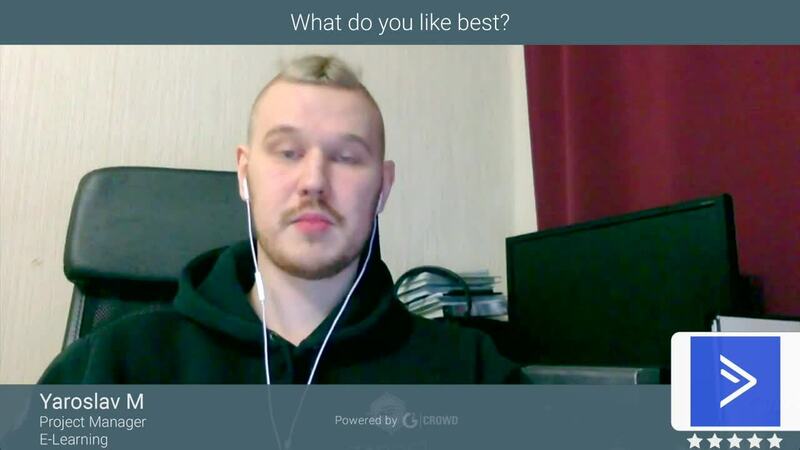 "Why I Love ActiveCampaign "
I love the ability to ask questions at any time of the day and have knowledgeable staff on hand to simply and easily point me in the right direction! I love the way the automations work, they are simple to set up and there are so many functions that you can use you will not be stuck hoping for an option that doesn't exist! I love the way you set up emails in the automations, it makes so much more sense than what I've seen in other programs. I'm really struggling with this one! The colours perhaps! Sometimes the graphs can look one dimensional, I would love to see more visual upgrades. As with any new software, there is a learning curve, I would not be afraid to reach out to their support and ask any questions they will help any way they can! It allows me to set up and send the emails to my list and to put into place funnels for turning prospects into clients! "The Best Email Marketing Provider Out There!" I've used a number of different email marketing providers out there and I Active Campaign is by far the best out there. The ability to create tags is my favorite feature, it helps me make sure the emails I send to my audience are applicable to them. I also love the format automation sequences with a variety of if/then factors. This helps to ensure I am not sending emails to customers in my audience who have already purchased a product or are not interested in that specific area. Since using Active Campaign my email list has grown exponentially. I attribute a lot of this to the ability to have multiple lead magnets and opt in forms with custom automation sequences for each. I haven't come across anything yet that I dislike. Though I would love to see landing pages as an option in the future, I am currently working with another company for a site welcome mat and integrating my Active Campaign form, I would love to see this feature built right into Active Campaign in the future. This product is excellent for those looking to grow and be able to segment their email lists. Since using Active Campaign I have been able to send out emails that are more targeted and specific to my audience. In addition my email list has grown by more than 150% since starting to use Active Campaign about a month ago. Thanks so much for leaving us such a wonderful review. We're so happy to hear that you're loving the platform, and thank you for giving us your feedback on things you'd like to see in the future! "One of the best list managers on the market"
I like that it is a low cost for startups, I help a lot of people get going. But I love love love the functionality. It is intuitive and easy to use and highly functional for an internet marketer. Not a lot just mainly little things which I have sent in to their product ideas area. They have a lot of functionality that Infusionsoft offers - some features are even better. If they had a checkout / cart process that would make them a really attractive whole solution. Definitely consider this - if you are starting out - it is a must - the best option out there. If you are an experienced online business then there are many factors at play - but make sure you check out the integrations options with AC. It is one of the most usuable systems out there. Automated funnel sequencing - list segmenting, product delivery of online courses. It does just about everything I need for my business. * We monitor all ActiveCampaign reviews to prevent fraudulent reviews and keep review quality high. We do not post reviews by company employees or direct competitors. Validated reviews require the user to submit a screenshot of the product containing their user ID, in order to verify a user is an actual user of the product. Hi there! Are you looking to implement a solution like ActiveCampaign?